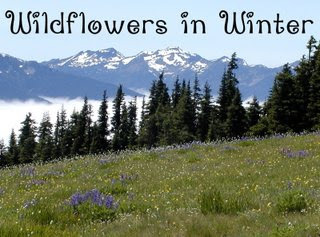 Wildflower Morning's topic for this week's wildflower event is Stitched Up Wildflowers. It can include anything that has to do with wildflowers that is made with textiles in some form or another. As I've looked around my house, I've found many items that will fit into this catagory. Instead of posting them all at once, I've decided to post something on this theme daily during this week. So, stay tuned!